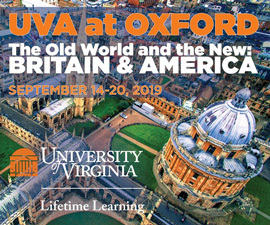 The smell of hardwood smoke drifting from student rooms lining the crisp, green Lawn has heralded the onset of autumn since the first class took up residence at the University in 1825. But last year, the stacks of firewood along the covered walkways disappeared. 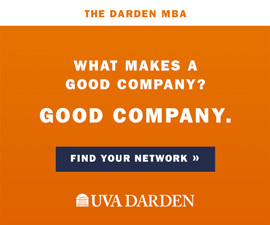 And in recent months, the Lawn was stripped bare, turning Jefferson’s picture perfect Academical Village into roughly three acres of dusty, red clay. But by November, just as the first chill falls upon the Grounds, all should be as it was. 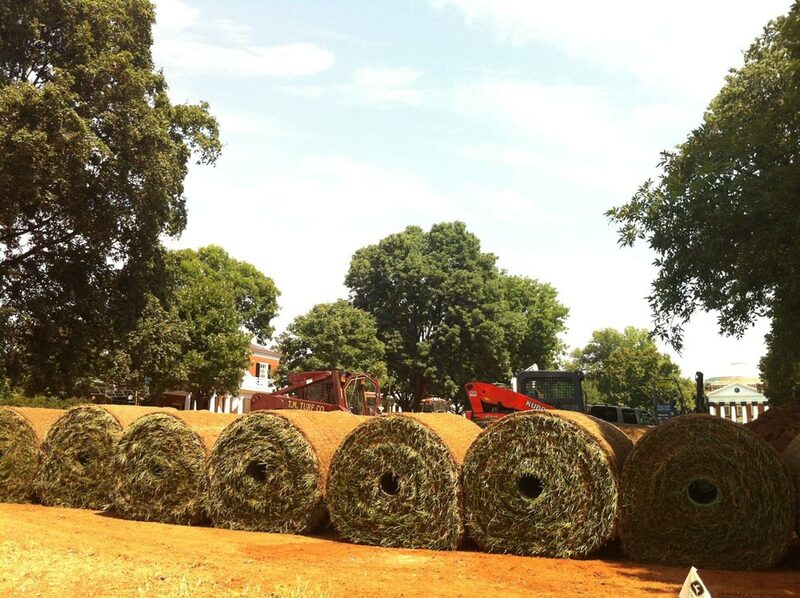 Renovating the Lawn: Greener Grass and Safer Fires from UVA Magazine on Vimeo. Facilities Management crews have worked doggedly since May getting the Village up to snuff, repairing the dangerously cracked chimneys inside the Lawn and Range rooms and replacing the entire lawn with rolls of sod—the first time in its history the Lawn has been completely renovated. The chimney work, which cost close to $3.7 million, began in May, after workers in 2010 found deep cracks within some chimneys as they fixed the roof between Pavillions VII and IX. A closer inspection revealed that many of the ceramic chimney liners, poured in the mid-1990s, had set unevenly. 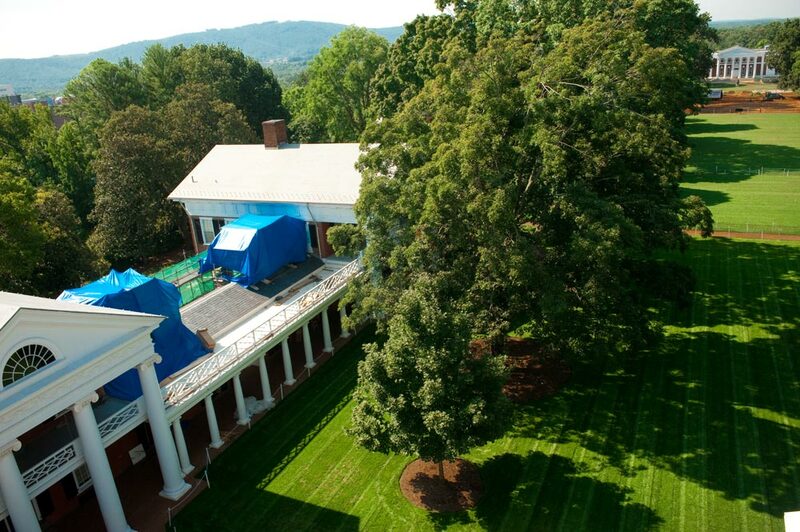 Top: Blue tarps and scaffolding cover the Academical Village while chimney repair is underway. “Thin as a skim-coat in some areas,” says Architect for the University David Neuman. That created a dangerous fire hazard, since most of the chimneys, more than 60 fed by 105 flues, passed through wood-framed gable roofs. When UVA workers and crews from contractor Black Goose Chimney complete the fixes by mid-November, all the functioning fireplaces will have bigger, better-drawing flue throats, stainless steel chimney-liners, freshly pointed masonry and easy-pull top-dampers replacing the old reach-up-inside bottom-dampers. Every room will have a newly installed sprinkler just inside the door. And while there have been no accidental fires causing significant damage in the Lawn rooms since 1 and 3 West Range burned nearly 100 years ago, Lawn room residents will have to undergo a re-tooled fire-building training session from the Housing Division. “I just hope they all pay attention,” said James Zehmer, the project’s manager. 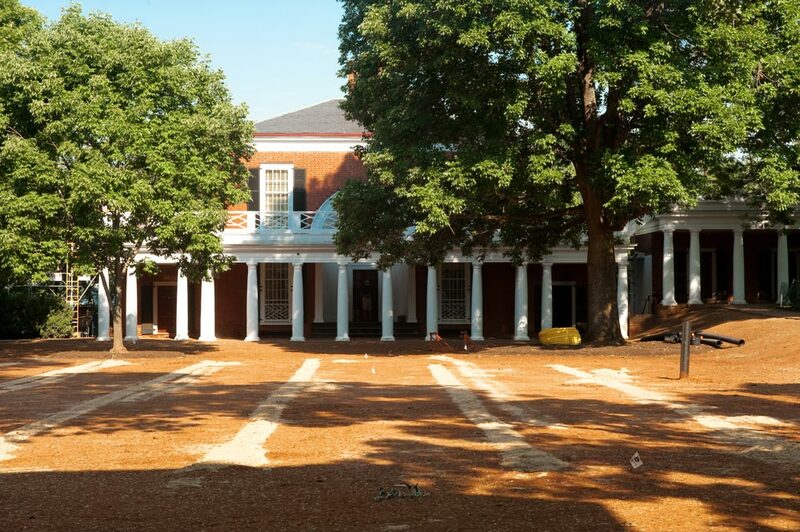 Also in May, workers began a nearly half-million dollar facelift to the Lawn—literally. Landscape crews peeled off the old turf to discover tightly compacted clay, which, during rainy Final Exercises, turned the Lawn into a series of muddy cascades. Workers aerated the Lawn, laid new drainage pipes, graded the surface with the help of lasers and rolled down more than 140,000 square feet of sod made up of thirsty fescue grass mixed with a little Kentucky bluegrass. Once the new grass takes, nurtured by the recessed irrigation system, the green heart of the Grounds should be as tough as Klöckner Field, easily withstanding picnics, Frisbee sessions, lounging students and even a graduation march in a downpour.